★ Union Southampton – Opportunities (for opportunities including volunteering, enterprise and everything in between). ★ Union Southampton – Places (for news and events from our outlets). 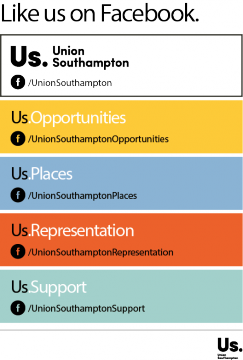 ★ Union Southampton – Representation (for news about how you can have your say and make change). ★ Union Southampton – Support (for information about how we can support you).